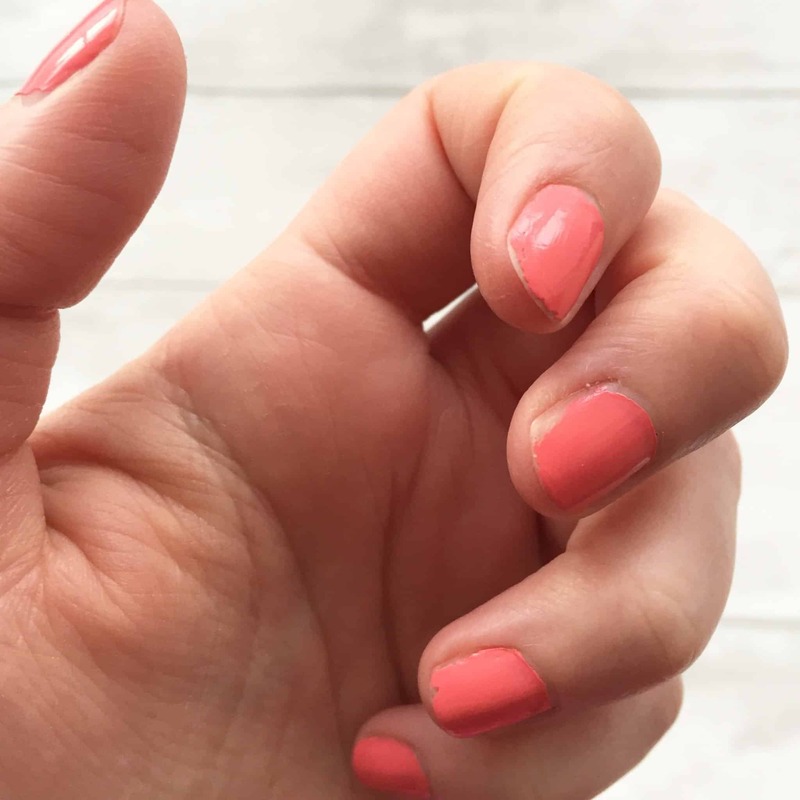 I’m working towards cutting chemicals out of my beauty regime, but one thing I’d never tried was natural nail varnish. Every normal nail polish I’ve tried stays about two days before they chip, or sometimes three, if I’m really careful. I’ve tried high end and high street and they are all pretty much the same. So I didn’t really think there was any point trying one with reduced chemicals. But a friend posted a scary article on Facebook about the damaging effects of regular nail varnish on your body. I don’t know how much truth there is in it, but it did get me thinking. She recommended Zoya so I used some of my Christmas money to treat myself. 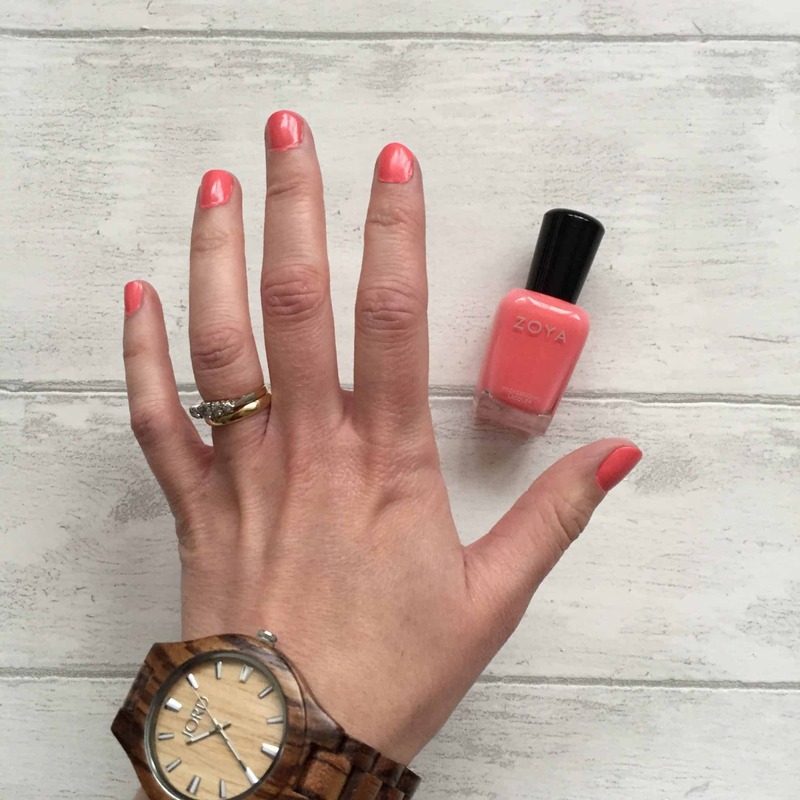 I got this gorgeous bright coral shade, and a base coat and top coat kit from LoveLula, my favourite natural beauty shop*. The colour I chose is Wendy, and it’s absolute perfection. It’s really bright, almost neon. I love it. Step 3: Two coats of colour. Step 5: Fast drying drops. The finished look: ta da! You definitely need to apply two coats of colour. But when you do, it’s a great effect – really rich and bright. 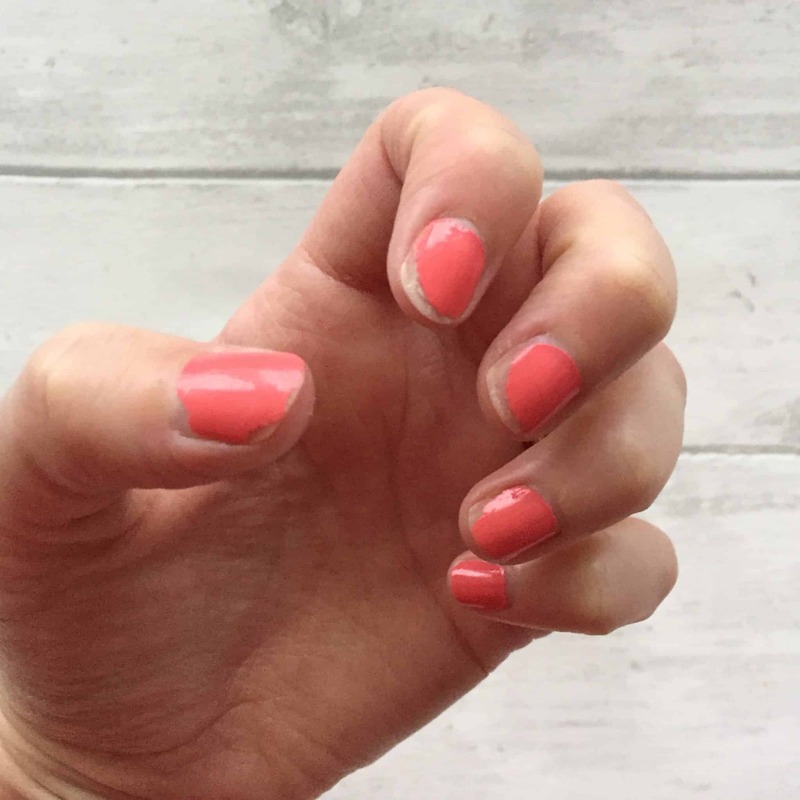 How Long Did My Natural Manicure Last? I have to say I am pretty impressed. Day 4: A few tiny chips. Day 6: Some bigger chips but still OK.
Day 8: Big flakes so it had to come off. I would say it lasted a good week before I needed to remove it, and even then, the bulk of it stayed. 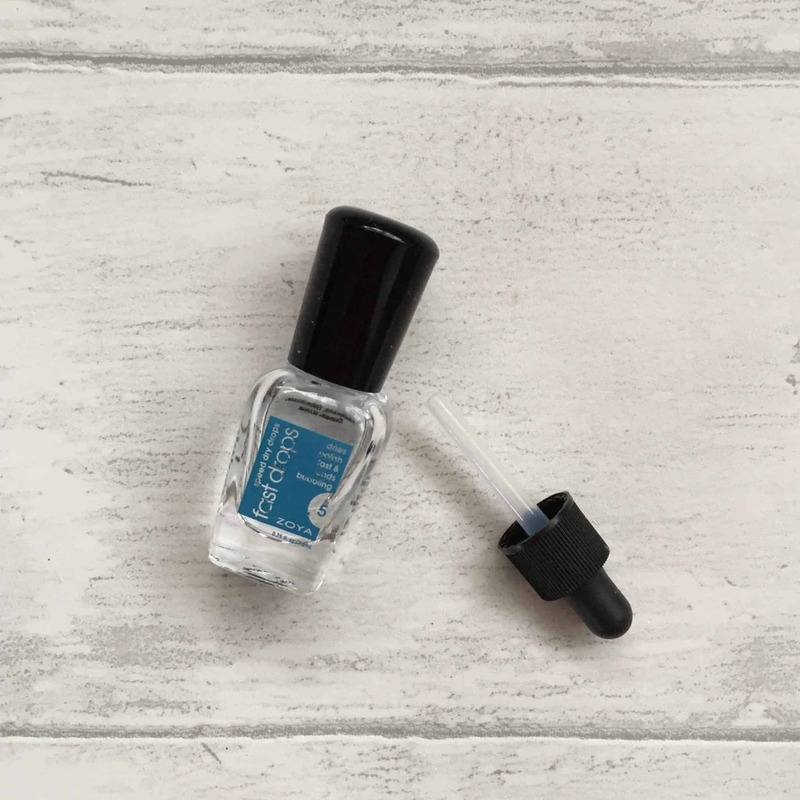 This beats my previous nail polishes hands down, without the need for all those chemicals! I am pretty impressed. It didn’t make it to the 14 day mark, however. What are Zoya’s Natural Beauty Credentials? 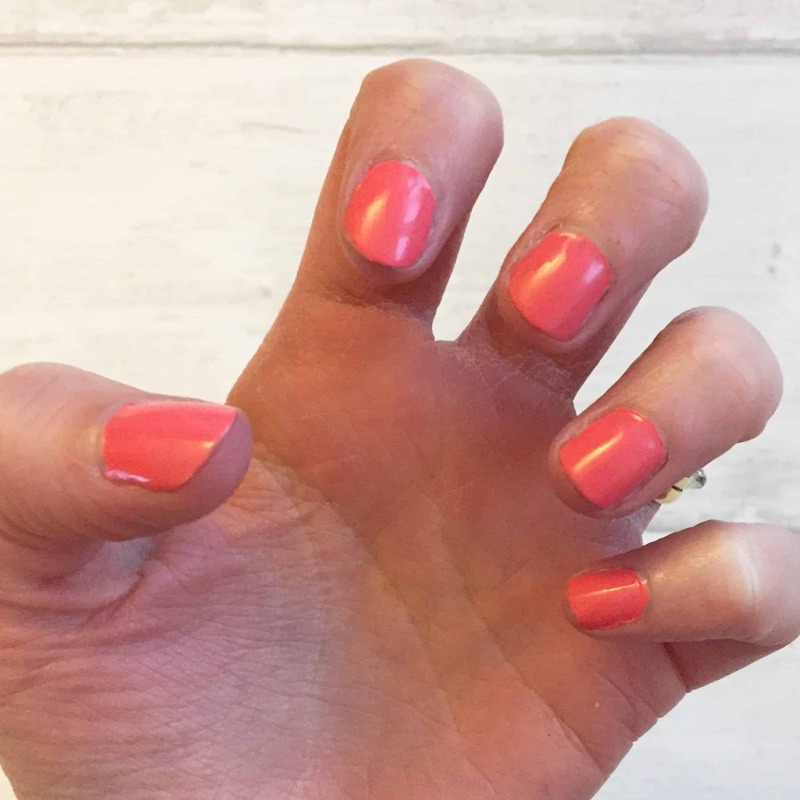 According to Love Lula, Zoya makes the best natural nail polish as it’s free from the top five chemical nasties: Toluene, Formaldehyde, Formaldehyde resin, DBP (Phthalates) and Camphor. These are all commonly found in normal nail polish. Zoya is also vegan friendly, cruelty free, and safe during pregnancy. 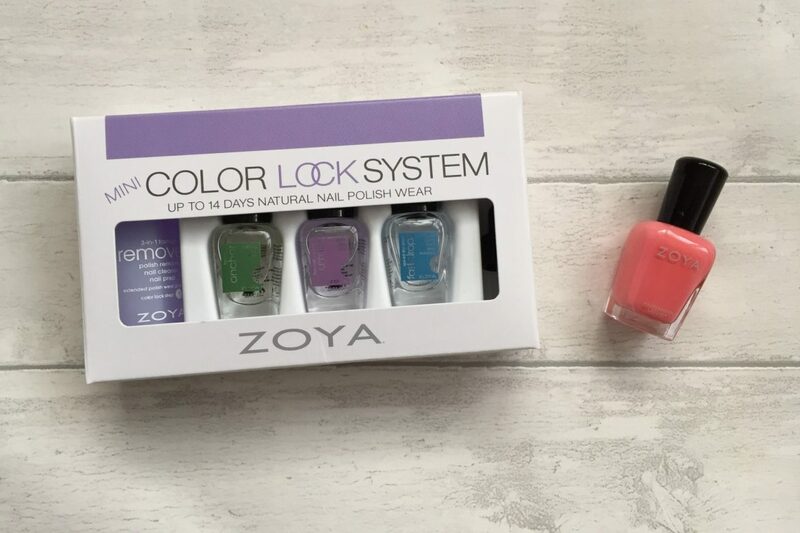 Where can you get your hands on Zoya Natural Nail Polish? 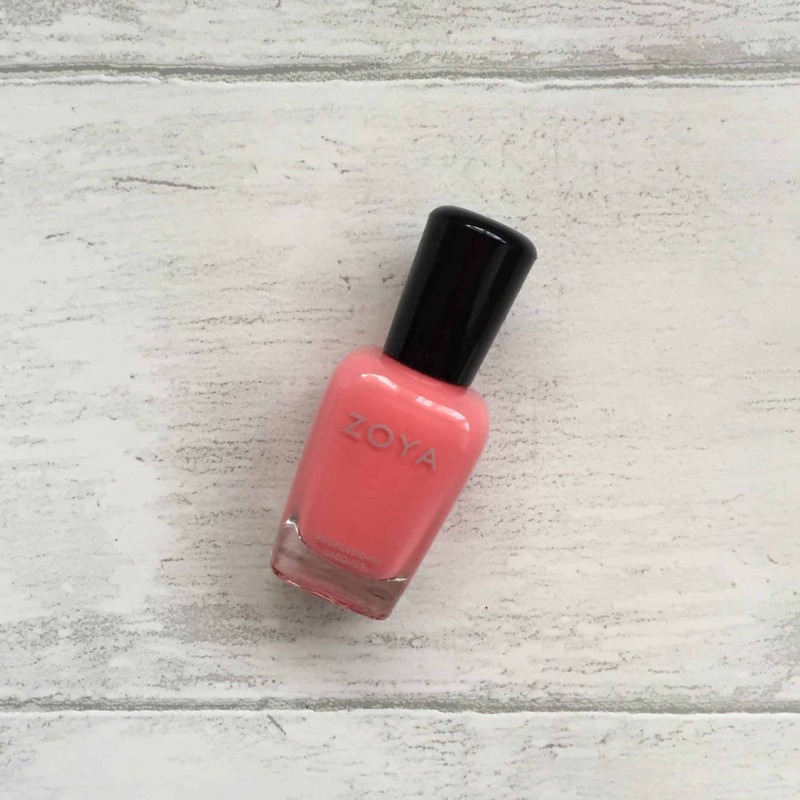 Zoya Natural Nail Polish is not a cheap option, coming in at £11.70 a bottle*. 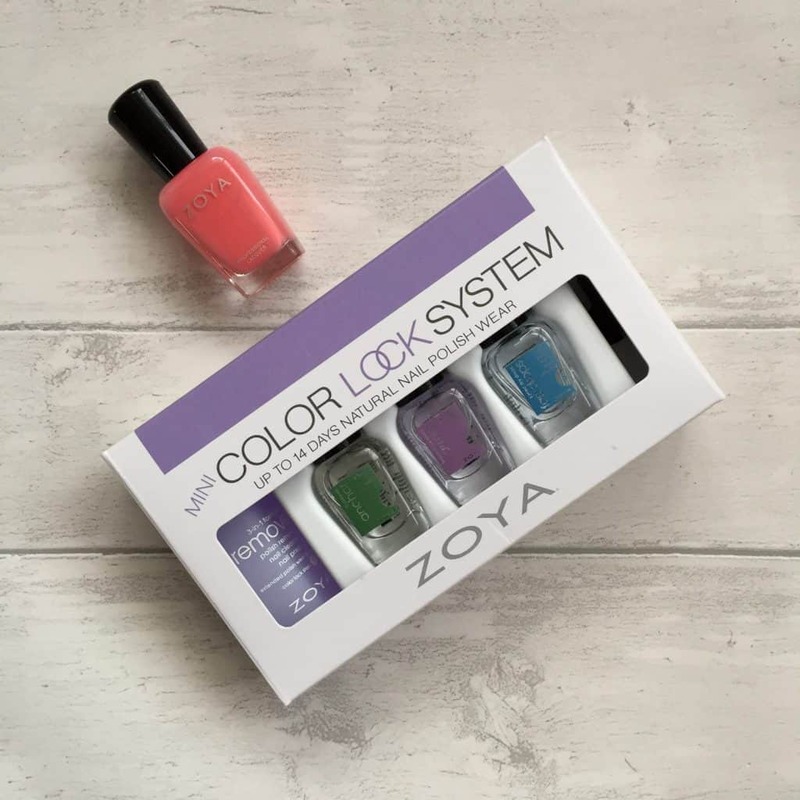 whilst the Zoya Mini Colour Lock System* is £26. So it’s safe to say that I will be going back for more shades. There are tonnes online, including shimmery, matte, and metallic, so there are plenty to choose from. 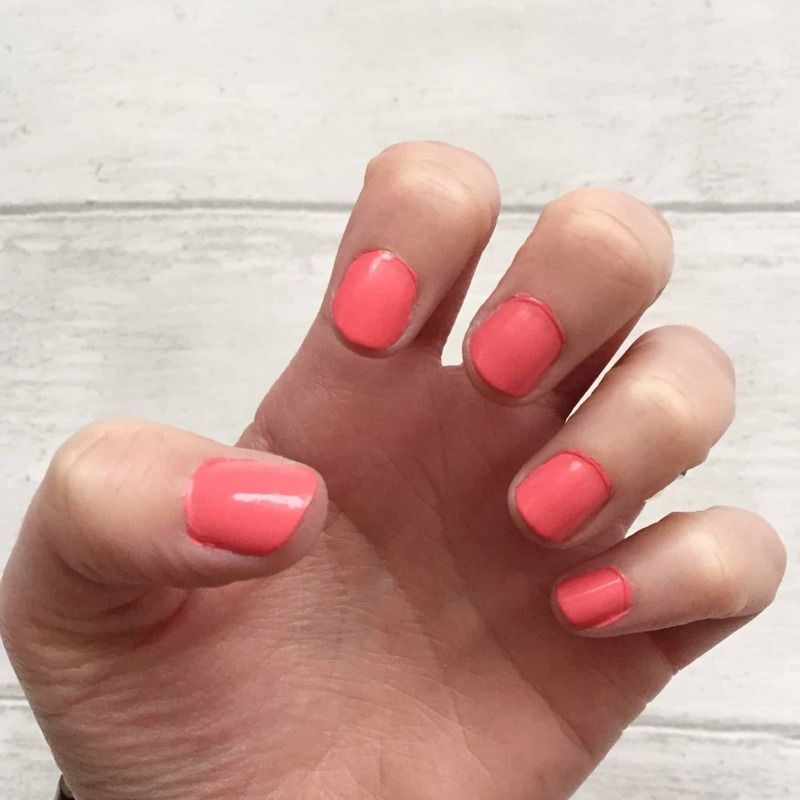 Have you found any good natural nail polish? I’d love to hear about it if you have!